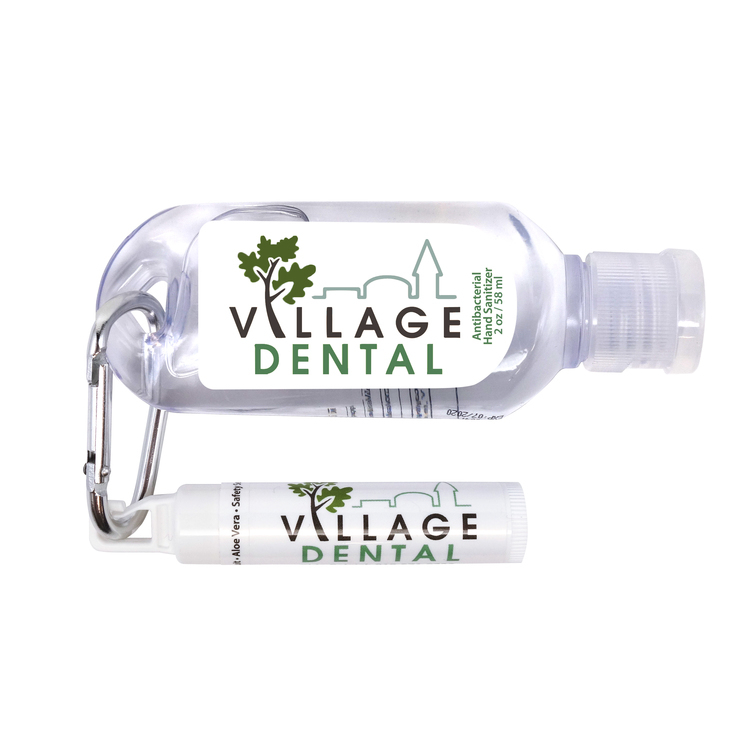 Hand sanitizer makes a great printed promotional giveaway gift for health fairs, wellness expos, tradeshow conventions and seminars. 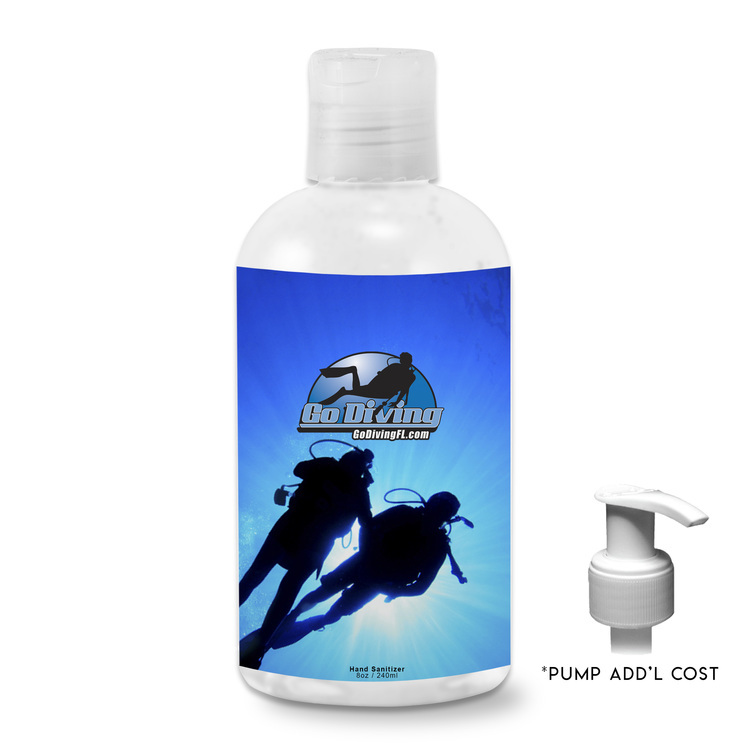 LP Marketing offers hundreds of styles of personalized antibacterial gels, hand sanitizer spray and travel packets that can be custom imprinted with your logo or promotional advertising message. 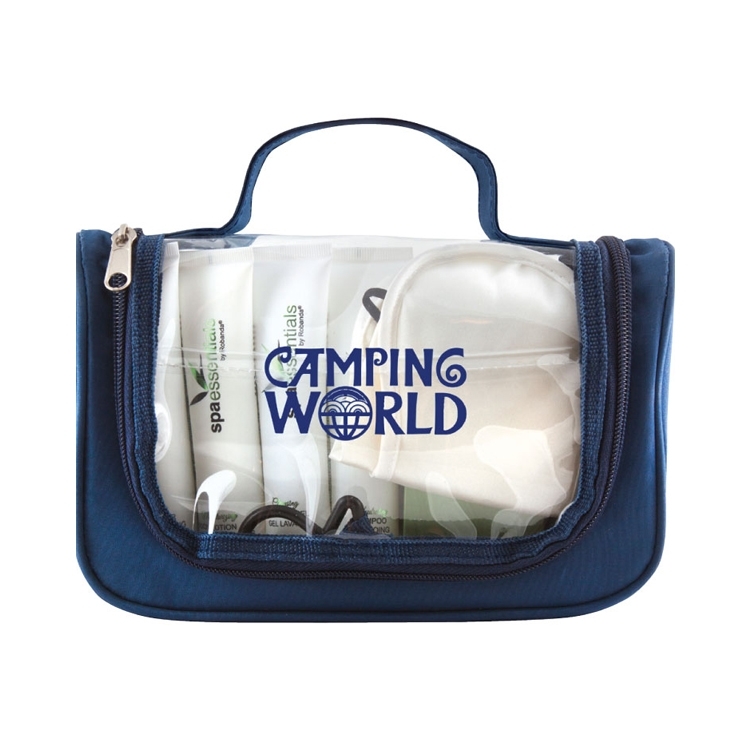 We can help find the perfect custom printed promotional gifts! Alcohol-based, 1-oz. 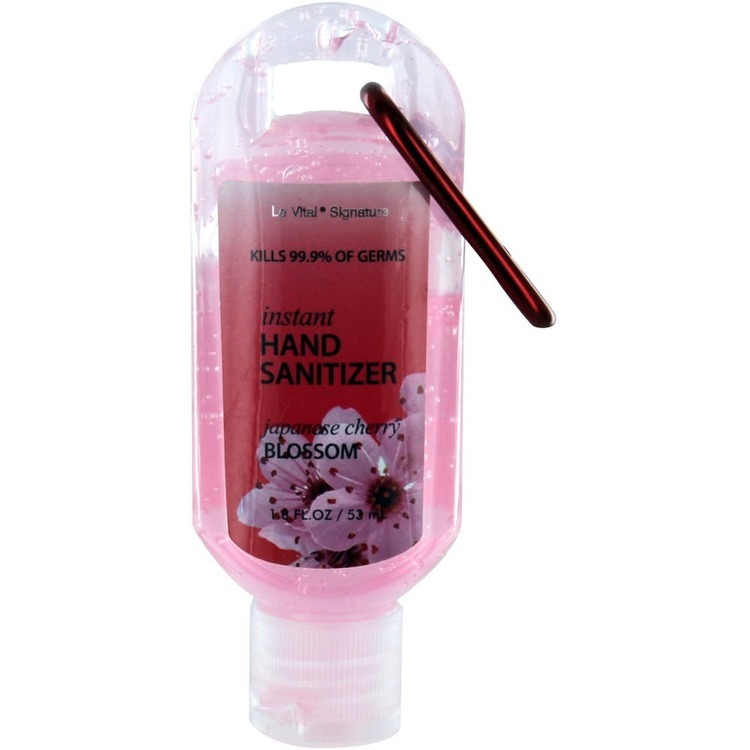 (30ml) hand sanitizer in squeeze bottle with flip-top lid. 62% alcohol content. Silicone holder also functions as adjustable travel attachment. Meets FDA requirements. Available for shipment in contiguous US only (shipping to Alaska, Hawaii & Puerto Rico NOT available). Not available for export. See General Information page for additional air shipment charges. 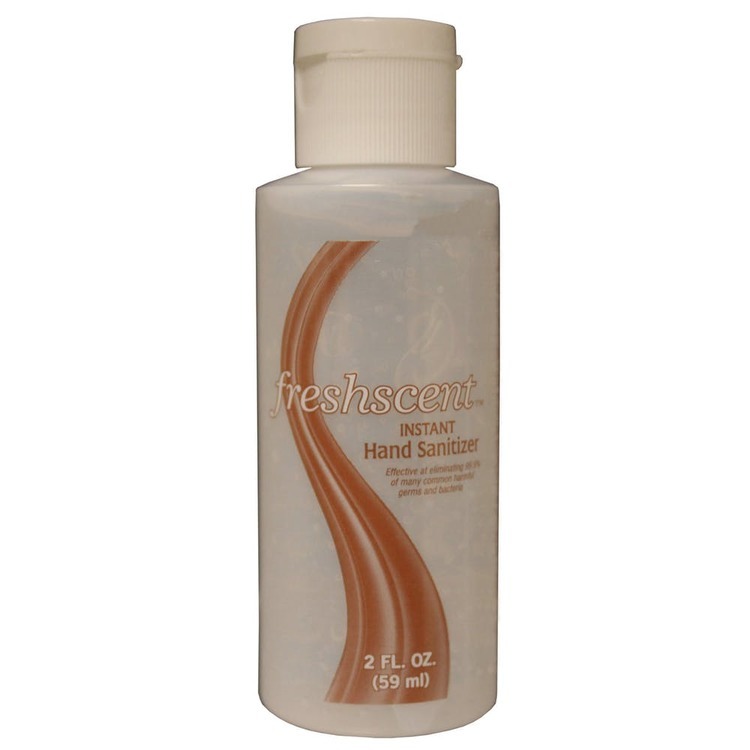 Freshscent Hand Sanitizer 2 oz is effective at eliminating 99.9% of many common harmful germs and bacteria. Perfect bottle for putting in your briefcase suitcase purse or desk. Active Ingredient is Ethyl Alcohol 62% w/w. Also contains moisturizers and aloe. Made in the USA! 96 hand sanitizer bottles per case. 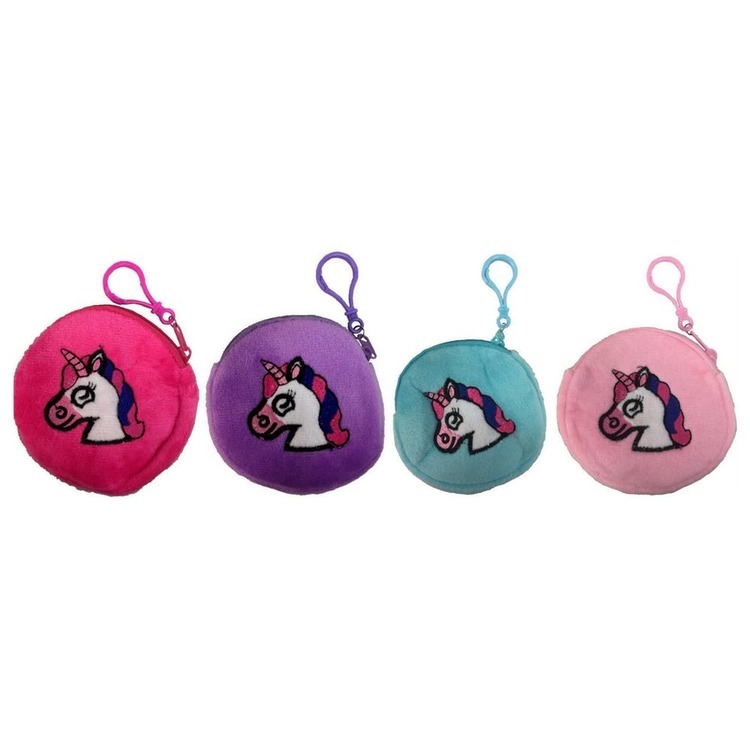 Perfect for holding coins lip gloss hand sanitizer and more. 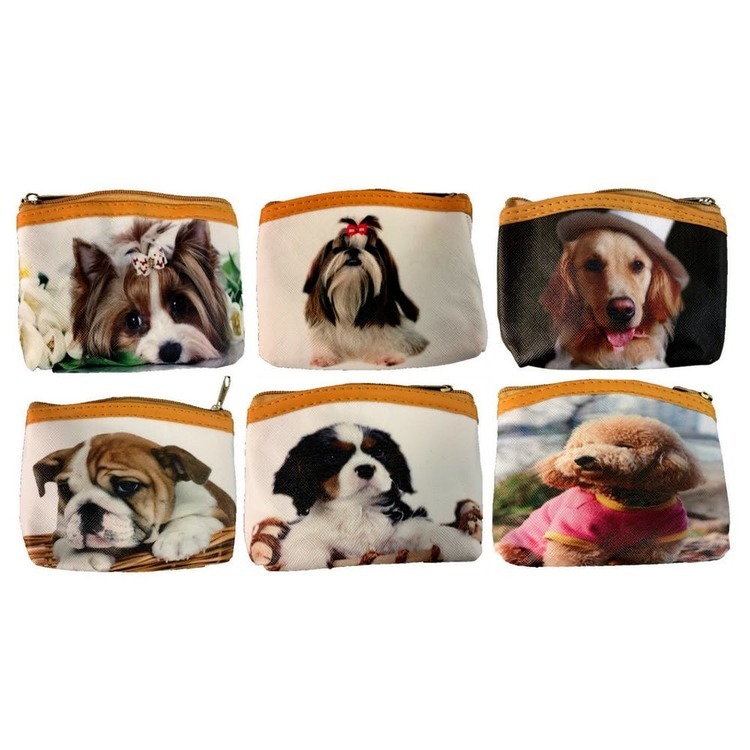 These coin purses come in assorted dog and cat prints perfect for holding coins lip gloss hand sanitizer and more. 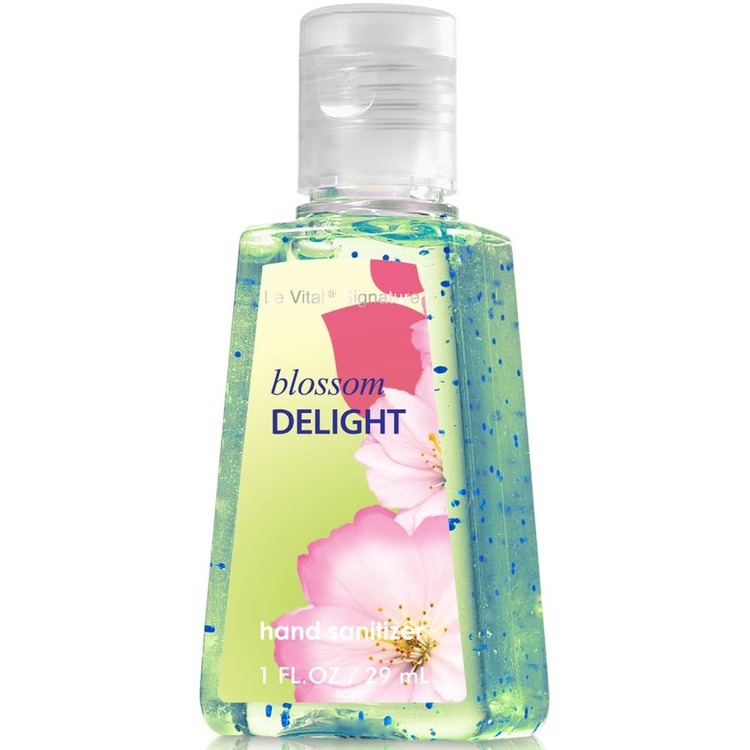 Freshscent 4 oz Hand Sanitizer is effective at eliminating 99.9% of many common harmful germs and bacteria. Perfect bottle for putting in your briefcase suitcase purse or desk. Active Ingredient is Ethyl Alcohol 62% w/w. Also contains moisturizers and aloe. Made in the USA! 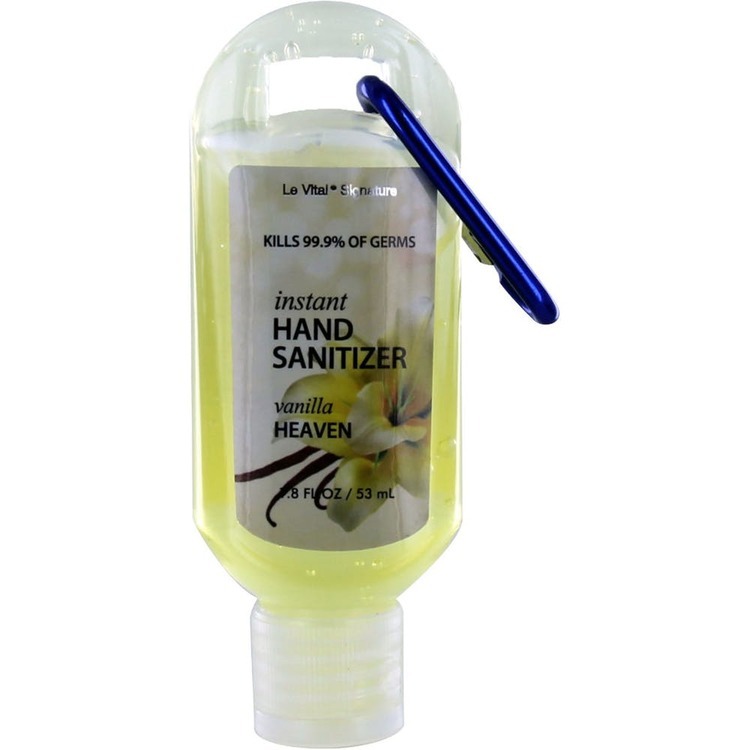 Our NEW mini size fragrant hand sanitizer can be used anytime anyplace without water or towel. It fits perfectly in purses and backpacks. 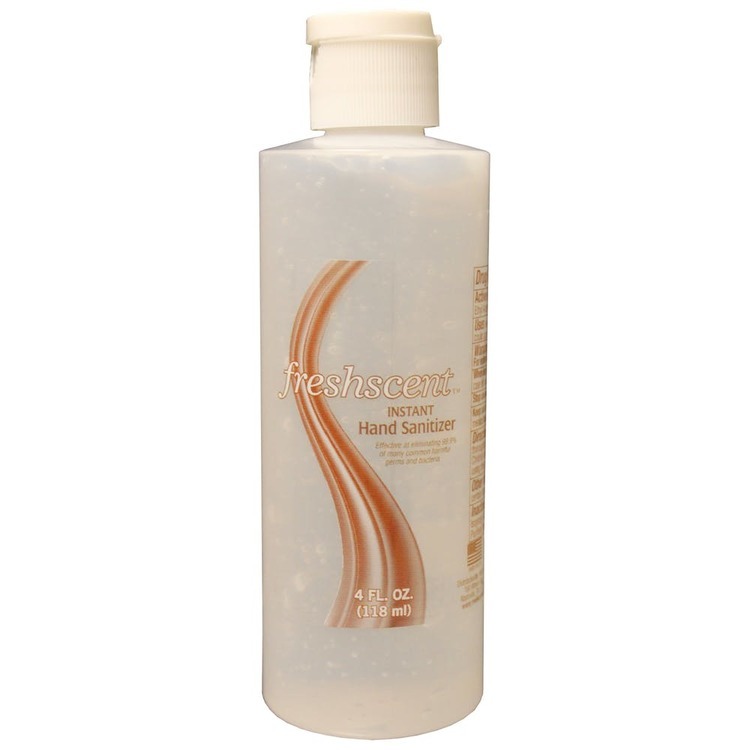 Moisturizing formula leaves hands feeling clean and refreshed without a sticky residue. Recommended for repeated use. 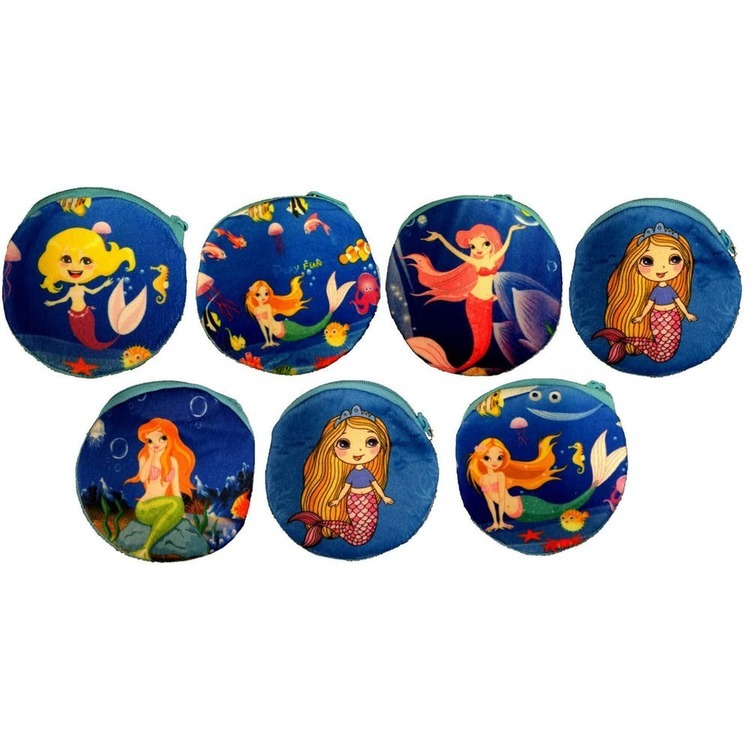 On the playground in the classroom at work or when you are on the go! 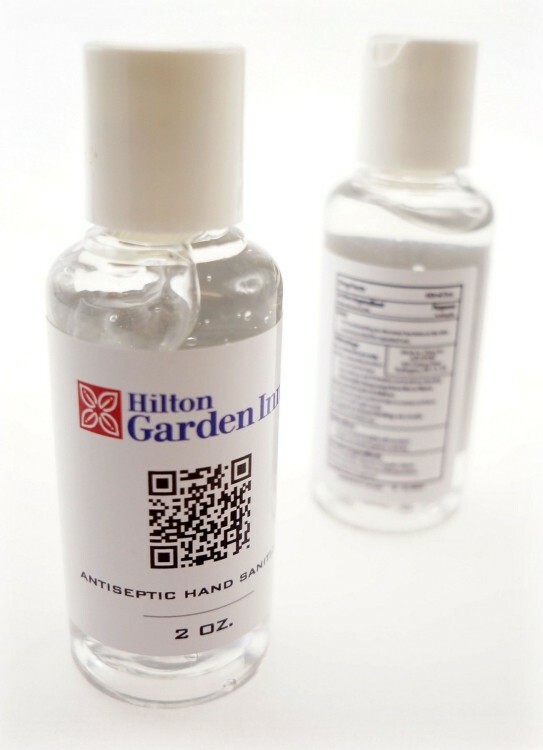 Instant Hand sanitizer can be used anytime anyplace without water or towels. Moisturizing formula with Aloe and Vitamin E leaves hands feeling refreshed without a sticky residue. 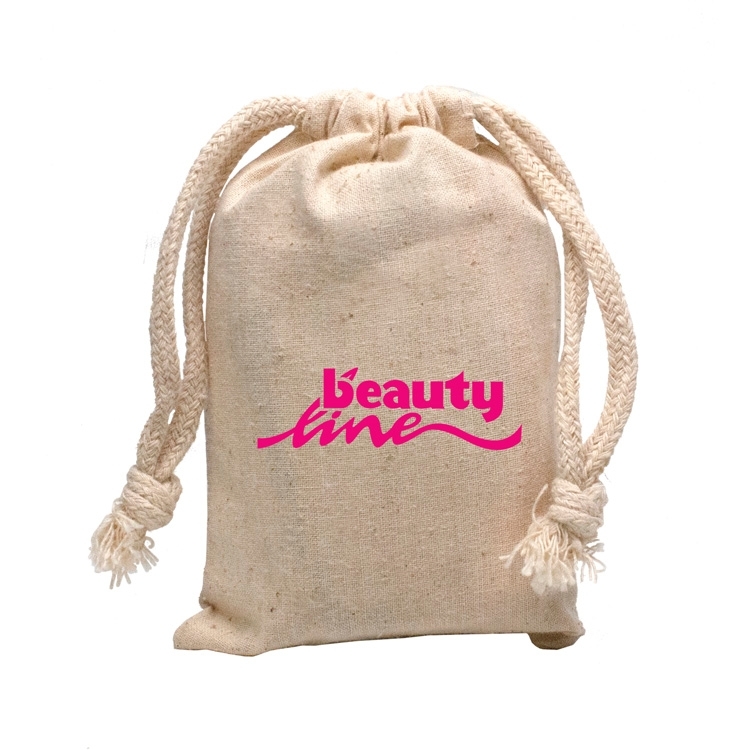 Drawstring pouch made of unbleached cotton. Kit includes Satin eye mask, hand sanitizer, Reeco Organic lotion, Tylenol ( 2 pack ), LA Fresh female hygiene wipes, mini lip balm, LA Fresh facial cleansing wipes. 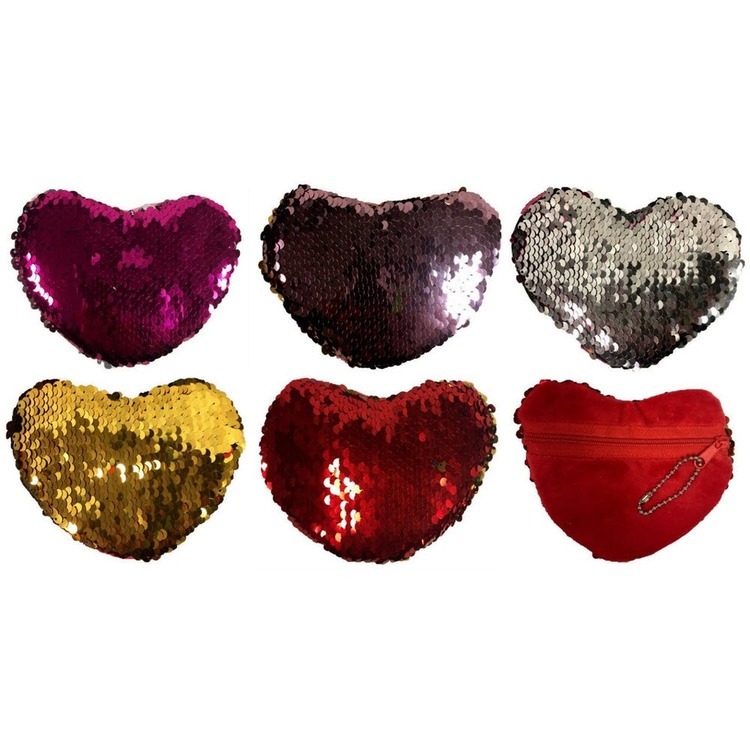 Decorations: Bag: W 3" x H 2" Eye Shade: W 4.5 x H 1.33" Hand Sanitizer: W 1/2" x H 1/2"
Original GERM-X Hand Sanitizer Pump 28oz. Moisturizing Gel with Vitamin E. Kills 99.99% of Germs. 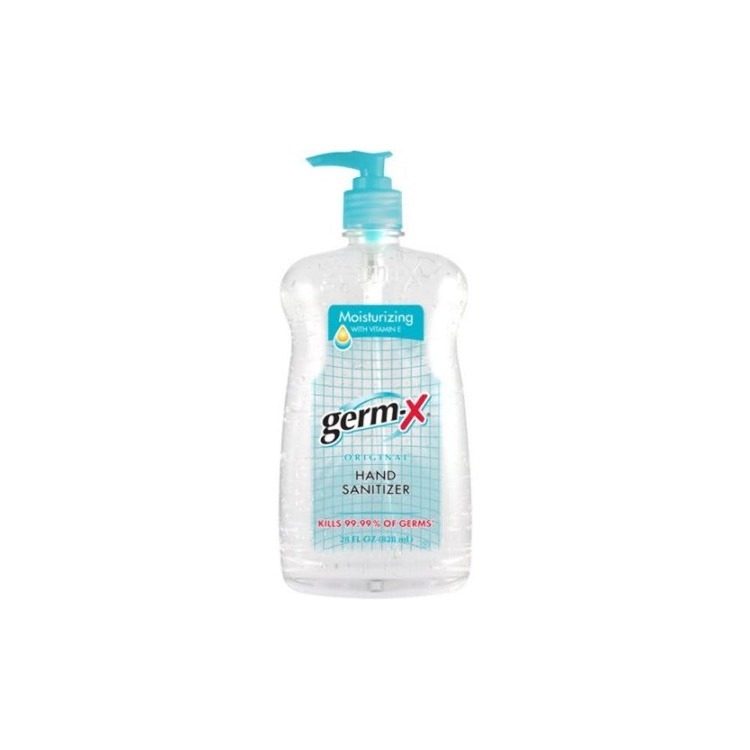 Fight germs at home or on the go with our ALCOHOL-FREE antibacterial hand sanitizer gel. Comes in an 8 oz crystal clear PET plastic bottle and is 100% American made, perfect for anyone looking to fight germs anywhere at any time. 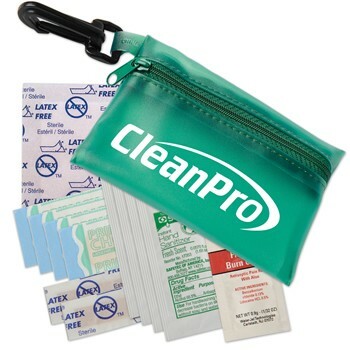 This sanitizer is a great idea for gifts, health clinics and events. 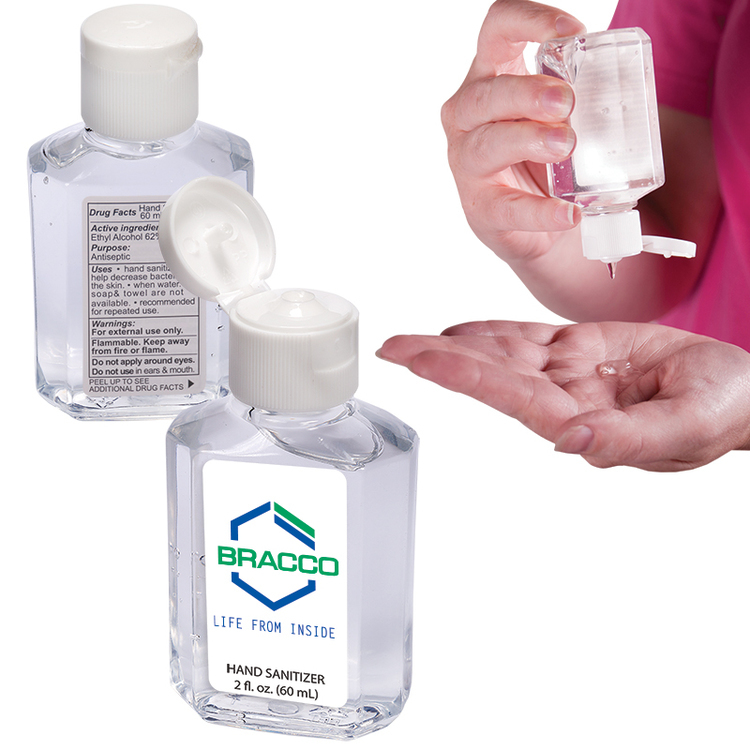 Fight germs on the go with Alcohol-Free antibacterial hand sanitizer gel in a crystal clear PET plastic bottle. This American made sanitizer accessory is perfect for anyone looking to fight germs while in public. 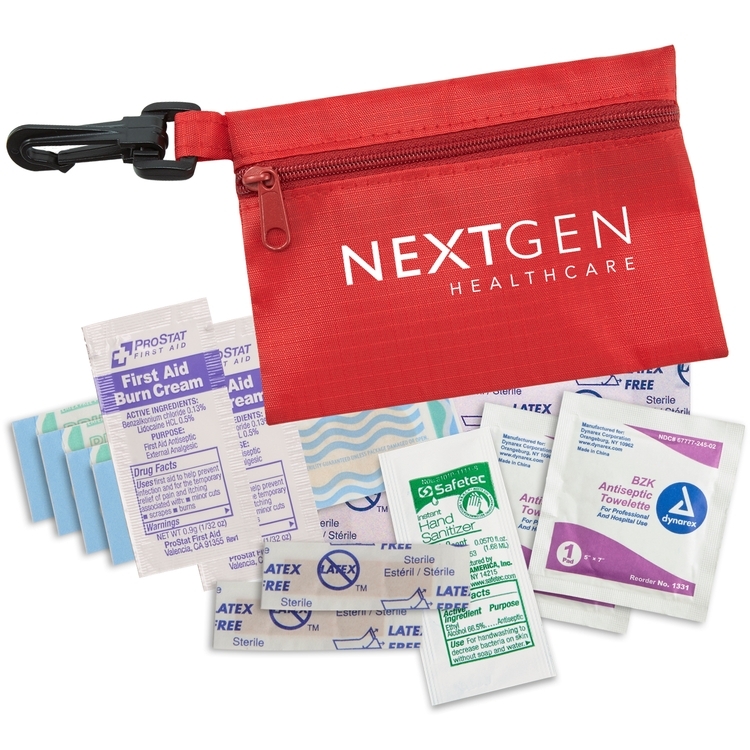 This sanitizer is a great idea for gifts, health clinics and events. 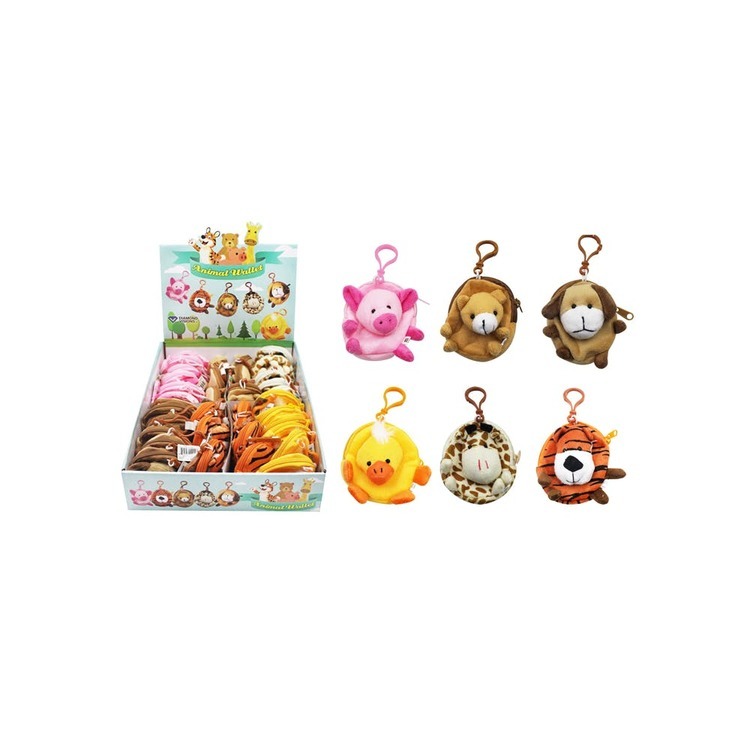 Fight off germs and give off a squeaky clean image of your brand with this customizable hand sanitizing case! 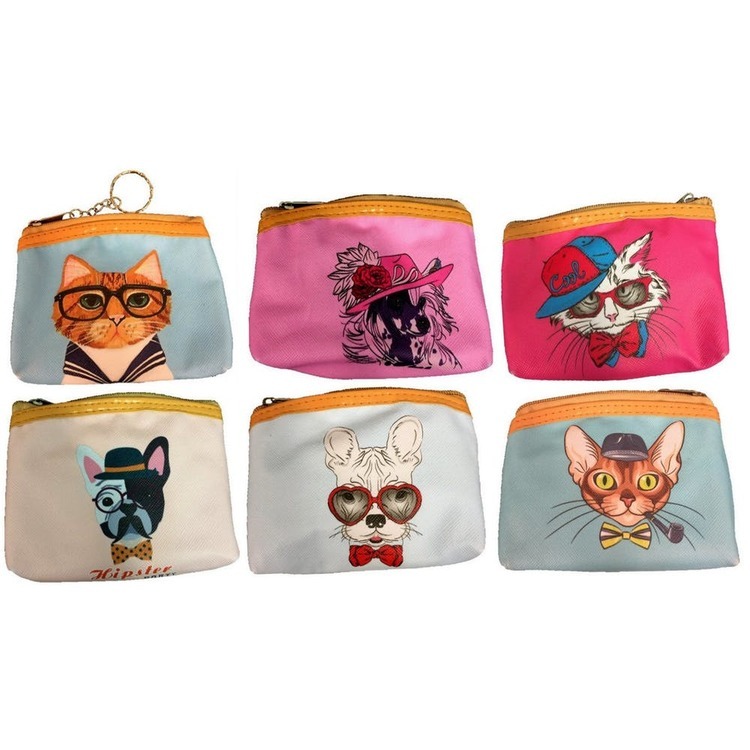 Perfect for pockets, purses, backpacks and more, each case features 5 wash up towelettes in a reusable vinyl case that measures 4" x 2 1/2" when folded. An excellent choice for promotional events and giveaways, a same color, second side imprint is offered at no additional charge. Proudly made in the USA. 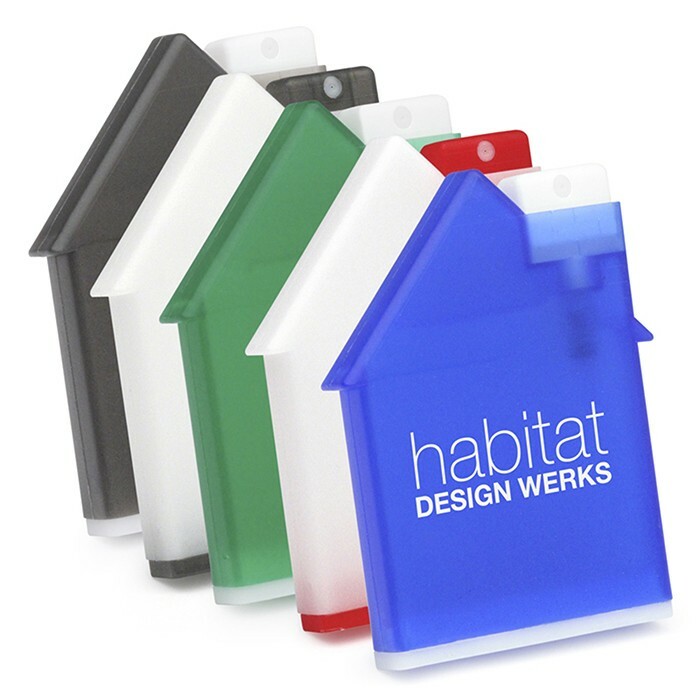 House-shaped hand sanitizer. Kills 99.9% of germs without alcohol. Non-flammable, non-toxic. Standard citrus scent. Lavender or mint scent optional. Made in the U.S.A. Choose body and plunger color (blue, white, red, green, black). This 2 oz. 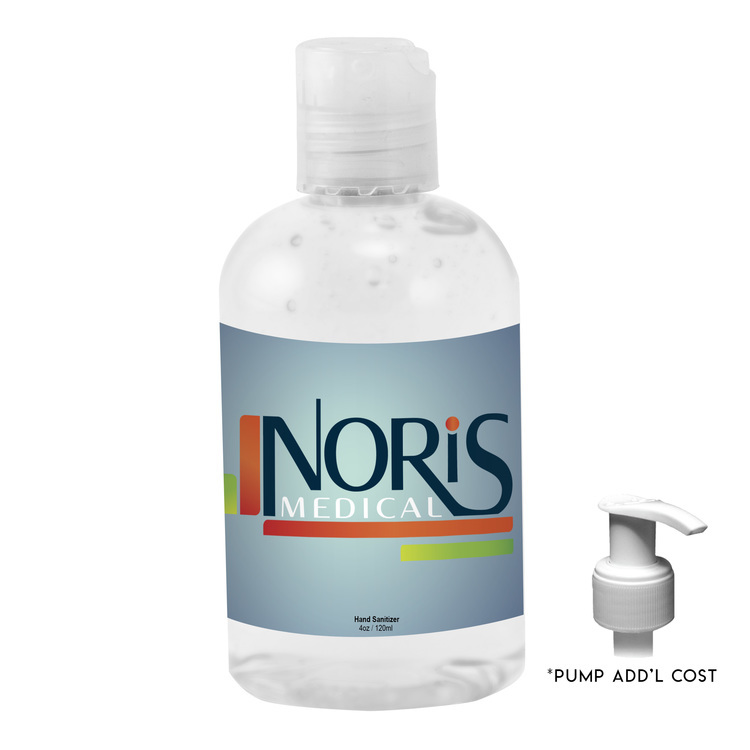 bottle dispenses a completely waterless hand cleanser in a gel form, giving it a significantly lower evaporation rate and a longer shelf life. The FDA approved formula kills 99.9% of germs with a lemon fresh scent. 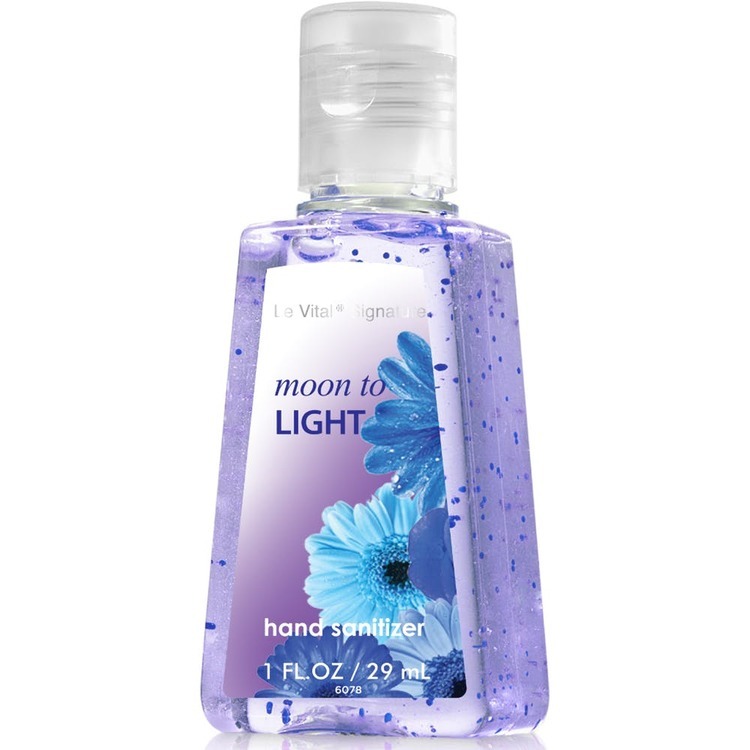 Refreshes hands without leaving a sticky residue. Includes a QR code for easy access to your website. 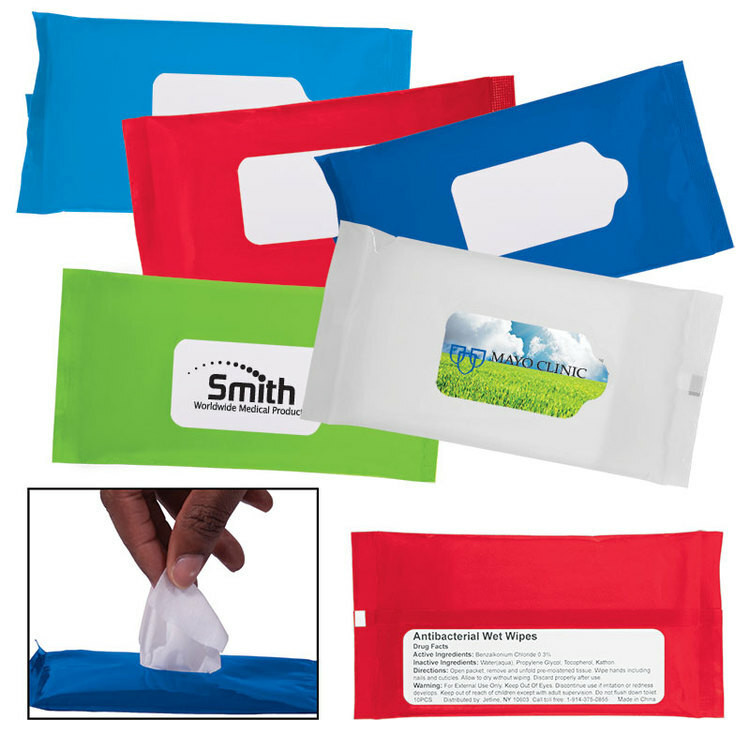 Use our four color process to customize these cleansers with a vivid representation of your company logo. Micro fiber hanging bag with vinyl front. Kit inlcudes 1.3 oz. Spa Essentials collection of shampoo, conditioner, bath gel, lotion, facial bar, body bar. 2 oz. 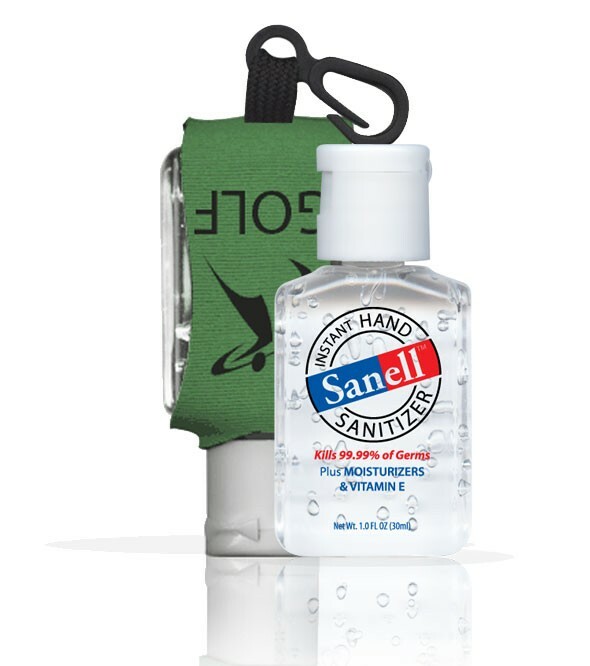 Sanell hand sanitizer. Vanity kit of cotton swabs, sewing kit and nile file. Toothbrush, toothpaste, shower cap, razor, shave cream, Satin eye mask, and sock slippers with grip. 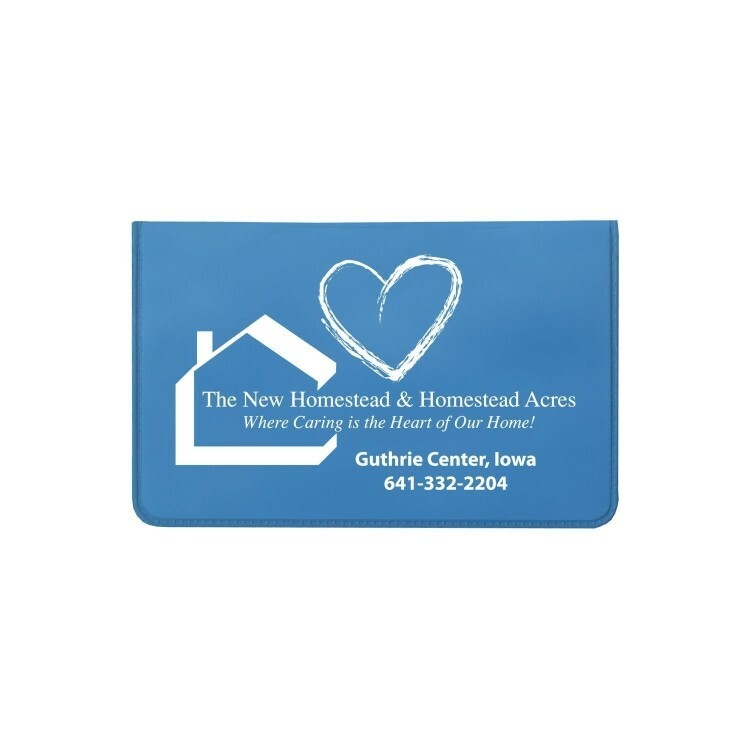 Decoration: W 5.5" x 2.5"
LP Marketing can custom imprint your branded business logo, motto, mission statement, slogan or promotional advertising message on many sizes and styles of antibacterial hand sanitizer giveaway products. 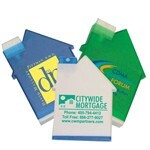 Promote cleanliness and good health with your personalized printed logo handouts at your next outdoor promotional event. Call us today!